The 2016 Olympic Games from Rio are going to overwhelm the airwaves beginning August 5, so get your DVR ready and enjoy. If you’re looking for a break from the world class action, check out the latest films available on TDS TV on Demand. 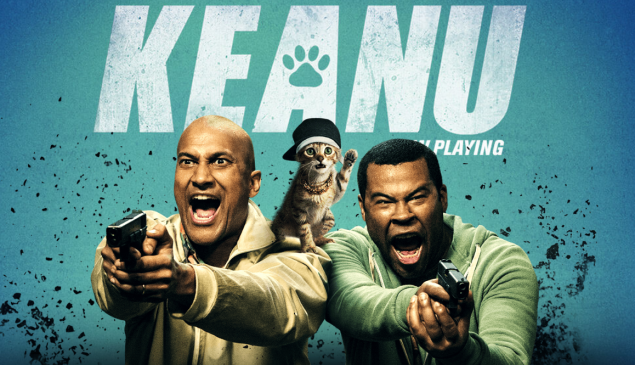 This week’s additions include the latest from the comedy duo of Key and Peele, an ensemble film with mom’s name written all over it and the latest from Tom Hanks. Keegan-Michael Key and Jordan Peele (from “Key and Peel”) score more hits than misses in the wildly funny, but also uneven, action/comedy. 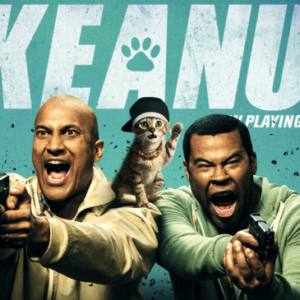 The two stars play friends who have to hunt down Keanu, an adorable cat kidnaped by persons unknown. Available August 2. Incredibly silly and uneven spoof of horror films, specifically the “Purge” series. Mike Epps stars as a man who moves his family to Beverly Hills for a better life, only to arrive just in time for the annual purge, 12 hours where crime is legal. Available August 2. The classic Batman story is brought to the screen in this animated film. Fans of the graphic novel may be taken aback by the changes, but if you enjoy adult animation, and can look past the changes made to the story, you’ll enjoy “The Killing Joke.” Beware, the film has an R rating, so it’s not for the kids. Available August 2. A holiday ensemble that’s dripping with sentimentality. The films mixes in a group of seemingly unconnected women with their own stories. It’s all very predictable, but a nice diversion if you in the mood for something light. The large cast includes Julia Roberts, Kate Hudson and Jennifer Aniston. Available August 2. Beware “The Lobster.” It’s a film that you may love or hate. The plot involves a dystopian future where single people are forced to find a romantic partner or be transformed in a beast and sent off into the woods. If that sounds weird, you’re right. “The Lobster” revels in absurdity, but it is also wickedly funny and genuinely unique. Available August 2. Melissa Rauch not only stars, but she penned this raunchy, and often very funny, tale of a foul-mouthed former gymnastics bronze medalist who reluctantly agrees to train a local Olympic hopeful. The film gleefully skewers the world of athletics and the athletes who can’t give up the spotlight. The film is very crude and not for those who are easily offended. Available August 2. Tom Hanks stars in this drama/comedy about a down-and-out salesman who ventures to Saudi Arabia for one last sales pitch that he hopes will turn his life around. Hanks is wonderful even if the story meanders a little too often. Available August 9. One of televisions most successful reality shows concludes another season. Who will JoJo select? Tune in and find out. Season concludes on Monday, August 1, on ABC. Country stars let loose with this annual festival. Brett Eldredge and Thomas Rhett host this year’s event, which features performances from artists such as Jason Aldean, Carrie Underwood, Keith Urban, Lady Antebellum, Rascal Flatts, Miranda Lambert, Chris Stapleton and many more.The fun happens on Wednesday, August 3, on ABC. This new documentary shines a light on Koko, the legendary gorilla who learned a rudimentary form of sign language. The film focuses on Koko and her lifelong relationship with her caregiver, Penny Patterson. Wednesday, August 3, PBS. Let’s head off to the Canadian Northwest and follow the long-haul truckers who risk their lives keeping the remote villages and work camps supplied. “Ice Road Truckers” is often overly dramatic, but it’s still one of the best reality shows on the air. It hits just the right blend of drama, tension, humor and appealing personalities. Thursday, August 4, History. This new animated version of the 1942 classic novel gets a lavish treatream, including the voice talents of Jeff Bridges, Rachel McAdams, Paul Rudd, Marion Cotillard, Benicio Del Toro, Ricky Gervais, Paul Giamatti, and James Franco. “The Little Prince” will be available to stream on Friday, August 5, on Netflix. Burt Reynolds and friends take a look at “Smokey and the Bandit” director Hal Needham in this new documentary. Needham, who began his career as a stuntman, directed some of the most successful action films of the 70s and 80s, many of them starring Reynolds. “The Bandit” premieres on CMT on Saturday, August 6. Jon Stewart will debut a new show this fall on HBO – an animated parody of the cable news networks. Watch for it prior to the November elections. Netflix has announced that the revived “Gilmore Girls” will debut on November 25. All four 90-minute episodes will drop at the same time for an exciting Thanksgiving weekend of binge watching. HBO has cancelled “Project Greenlight,” while Starz’s “Black Sails” will wrap after next season, the pirate show’s fourth. Renewals include SyFy’s “Wyynonna Earp,” TNT’s “The Last Ship,” and Fox’s “American Grit,” the latter a physical competition series hosted and produced by WWE star John Cena.